The location for the second Craft Beer Day – an old limestone factory converted into an arts centre, on the icy and windswept shore of a lake in a distant suburb of Hamburg – seemed unpromising to me. Yet by the end of last Saturday, around 2500 people had made their way there to enjoy a fine variety of good beer, plus good food and music, and of course good company. Around a dozen breweries took part, I think all were northern German except two: Schneider Weisse from Bavaria, and Black Isle from Scotland. (The local newspaper coverage of the latter was amusing – the writer seemed amazed that "the land of whisky" should also produce beer.) 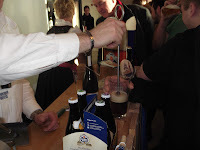 The northerners ranged in size from Stralsund's Störtebeker – formerly the Stralsunder Brewery – which is now up to 100,000hl a year, according to brewer Christoph Puttnies, to hobby-brewers turned professional (or semi-pro) such as Grönwohlder, Sommerbecker and Zeugenbräu, the latter producing just 50 litres at a time. The one thing they almost all shared, apart from not being factory brewers, was an interest in challenging the conservative monoculture of mainstream German beer – the popular assumption that Beer=Pils/Helles, and is more for quaffing than tasting. 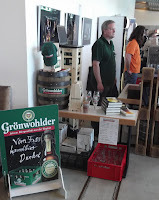 I was particularly amused when Grönwohlder boss Torsten Schumacher said no to visitors asking for Pils, telling them he was presenting only his Dunkel and Landbier on draught. He told me afterwards that he makes Pils mostly for the supermarkets – he said his other beers are unfiltered and don't have the required shelf-life. I suspect that people coming to a craft beer festival and looking for Pils shows that the German craft beer movement is sending out mixed messages. On the one hand, there are people pushing the historical, experimental and creative sides of brewing, while on the other are people using the term simply to mean local and non-industrial production of Pils and Weizen. Can the two co-exist? I guess we have to hope so, and that the latter will gradually shift towards the former. There were certainly signs of this happening among the breweries present at Craft Beer Day. Most had a had a variety of flavoursome beers on offer, including an excellent Stout and a rather nice Rauchbier from Finsterwalder, a classic Winterbock from Klüver's, and a tasty Porter from Privatbrauerei Bosch. 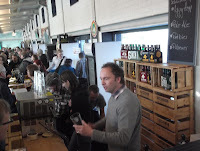 Ricklinger, who I met at the first Craft Beer Day, was also there with a great range of beers. Most brewers had Dunkels and several had a Porter or Stout as well – I had a chat too with Christoph about the similarities between Baltic Stout and his excellent Störtebeker Stark-bier, which is technically a Doppelbock. 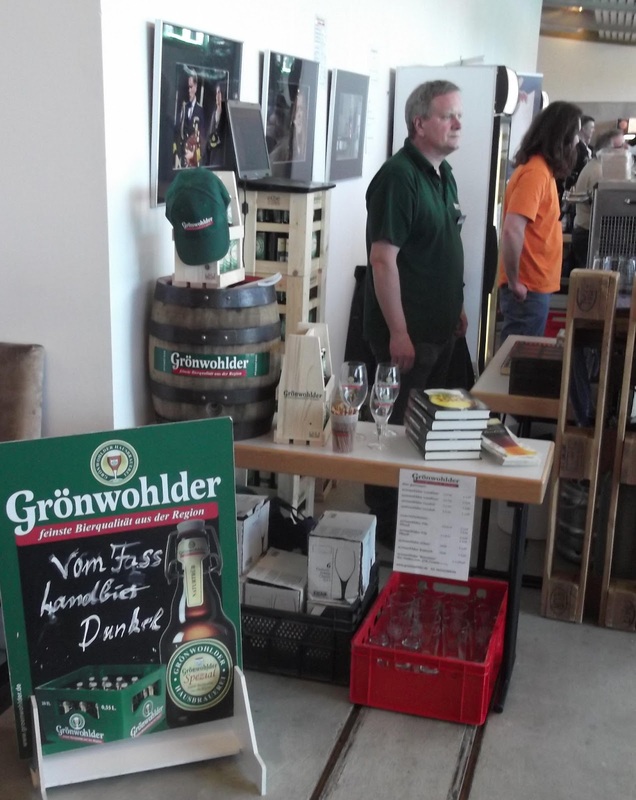 As well as all the good beer, it was wonderful to meet and talk with some really creative German brewers. Perhaps the most experimental is Zeugenbräu's Boris Georgiev – his proud motto is "Guaranteed not brewed according to the Reinheitsgebot", as he creates new twists on ancient North German spiced and fruit beer traditions such as beer with mango or spiced with cardamom. 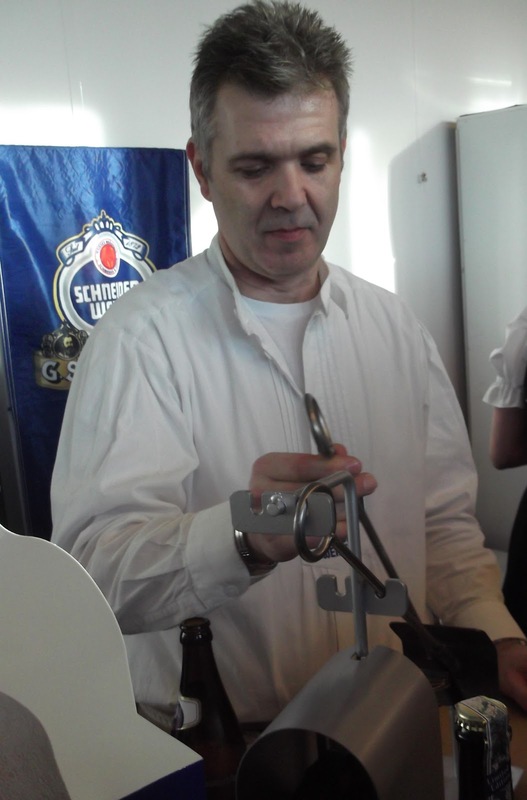 I also had a great chat with one of the event's organisers, Axel Ohm of Ratsherrn Brauerei. I have to confess I wasn't too impressed with Ratsherrn when it started out – it seemed to be taking a very cautious let's-not-frighten-the-horses approach, with a beer range led by yet another Pils and a decent but not inspired Pale Ale. More recently though it has struck out a bit, with Iggy Hop, which is a single-hopped Weizen using American Simcoe hops, and now a crisp Zwickel too. Axel confirmed that there has indeed been a policy shift, with the realisation that there really is a market for something a bit different. We also talked about how different it is compared to the south of Germany, where the dead hand of tradition is so cold and heavy that breweries are almost scared to innovate. One final highlight was discovering another tradition on the Schneider Weiss bar: mulled weissbier – or more accurately, mulled weizenbock. Beer sommelier Timo Hinkel took a special red-hot poker called a bierstacheln, or beer-sting, and plunged it into a glass of Unser Aventinus; instantly the beer began to foam as heat shock threw CO2 out of the liquid, along with an aroma of toasted caramel. The resulting drink was fascinating – perhaps the oddest part was feeling the still-cold upper foam on my lip while drinking warm beer from below, with flavours of toasted bread and burnt caramel. I know ale was mulled with red-hot pokers in medieval England too, but sad to say I've never tasted that version, so this was a new experience – and one I'd like to thank Timo and the Schneider team for. Dampfbier: the original Steam Beer?